Central Florida is home to many great veg places. Here are some of our favorites! In order to be listed here, there must be viable vegan options (preferably including a vegan menu). The listings focus on the Central Florida counties of Orange, Seminole, Osceola, Brevard, Volusia, and Lake. If you know of a vegan/vegetarian/veg-friendly restaurant, food truck/cart, delivery, caterer, store, natural food market, or farmers market that isn’t listed here, or if you find any inaccurate information, please contact us. For directions, look up location addresses on Google Maps or Mapquest. For more detailed information including menu options and hours, as well as a detailed Disney dining guide and a list of other responsible businesses, click on this downloadable (periodically updated) file: VegCF Dining Guide. 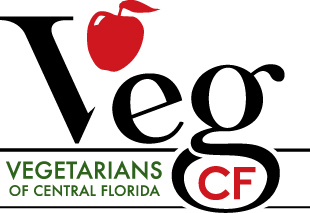 For extensive discussion and reviews of local veg eating, join Orlando Vegans and Central Florida Vegans Reboot. If you are going to Disney World, check out the Veg Disney Facebook group and Rachael Sera's Vegan WDW blog. If you are going to Universal Studios, check out the Universal Orlando Vegans Facebook group. For information on veg places around the world, go to Happy Cow. 4001 US Highway 98 N.